Let's face it, plain paper can get boring after a while. Look through our giant selection to find the perfect origami paper. 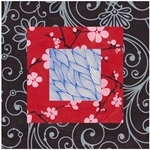 Artisans and amateurs alike will find new and exciting origami papers in our collection. 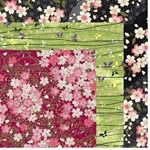 Imported directly from Japan, Nepal, and Thailand, our origami papers provide an enchanting origami experience. Select luxurious and durable Nepalese Lokta Papers for natural hues and highlights. Or choose lightweight Thai Unryu (Kozo) paper for projects requiring a soft feel and fine details. Experience folding with Chiyogami (also called Yuzen) papers in both traditional and Aizome, which provide intricate, hand-silk screened prints for ornate projects and paper doll folding. 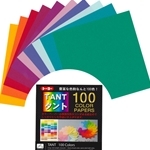 Tant Origami Papers give a stiff, crepe-like texture to your project. You may also want to try non-traditional media types including plastic, mesh, opalescent, and lizard skin textured origami papers. All of these providing a unique look and feel that cannot compare to traditional paper.